The Iphone could get smaller, but not the screen. That's pure nonsense. Verizon is going to get the contract too, the verizon model is going to have a smaller screen on it but have the same power as the AT&T model. AT&T will keep it too but it’s going to have a slightly bigger screen and maybe thinner. If this is true I will have to stick with the AT&T model. But I can guarantee that verizon is going to get a version of it that is going to be smaller. I feel iPad will be an extension to a desktop or notebook, but it will lack of computing flexibility outside office or outside home. You won't go out for work with iPad but Macbook. 16 - 32 - 64 gb is barely sufficient for mobility nowadays. Not unless you have a reliable network provider where you main data is accessed. Reality is only a few countries, or even cities have an affordable and reliable network. Apple will have to depend on Network quality, like a Ferrari depends on good roads. iPad and iPhone should bread to something in between rather than lead a separate road. Reading glasses with built in led display, finger as a mouse, who knows ... crazy you think? Really?? A smaller screen? Get the f*** out of here. Why would a company back-peddle on a form factor that hasn't changed in three generations. If Apple is seriously contemplating reducing the size of the screen I'm off to get a Droid. Apple has been wearing down my spirits with all this nonsense. Analysts don't know ****. How many of them said "The Verizon iPhone will be announced during the Apple event" back in January? Countless numbers and alas it didn't happen. I think if a CDMA iPhone does ever come out for carriers like Verizon, it might be a smaller version. If any of this is true and apple decides to reduce the functionality of the iPhone I for one will stop supporting them and move on to someone else's product. I actually got to play with the evo 4g.. Beautiful phone and thank god it got android unlike the poor hd2.. I had the hd2 for a day and decided to return it.. Win mo is soo very bad IMO.. I got the chance to compare the hd2 against the evo.. All I have to say is wow.. The near future is excitingly fast.. 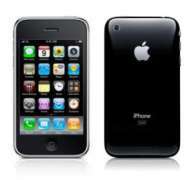 I'm hoping the next iPhone is better than the evo.. I'm betting it will be.. I'll say this, the evo will be my phone of choice if Apple tries to reduce the size of the screen. My contract will be up in July, and I have no problem leaving AT&T if they cripple the phone with a smaller screen. If anything, they need to extend the screen a bit more and make it bigger. new form factor yes, smaller screen no. I wouldn't buy an iphone if they make the screen smaller. I have always liked the iphones compared to other smart phones, and i think the idea of the iphone having a smaller screen and eventually being turned into a "tethering device" is stupid. Personally I don't get the hype of the ipad or any similar devices (present or futre) If its too big to fit in my pocket, I'll stick with my laptop. IMO, the ipad is not a mobile device, If you can carry around the ipad, you can carry around a laptop which is much more powerful.